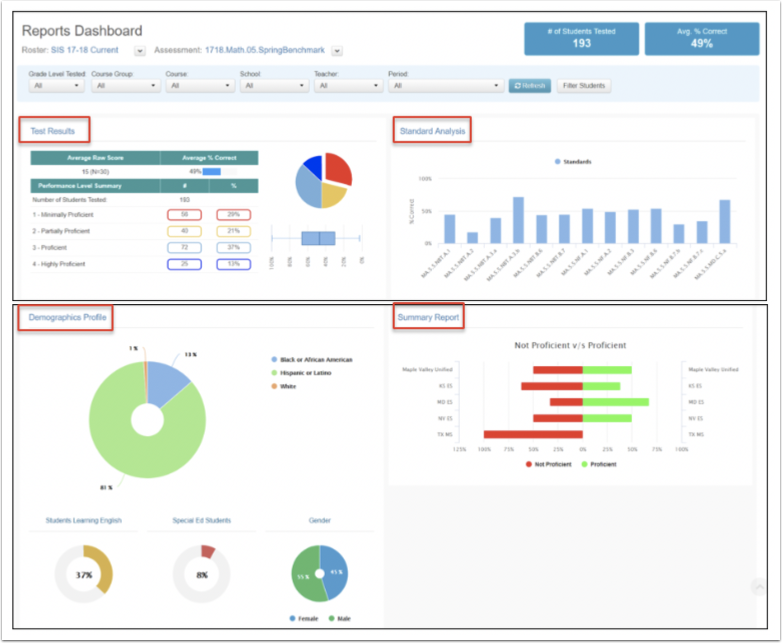 A Dashboard data visualization view has been added to the SC SUITE navigation toolbar. 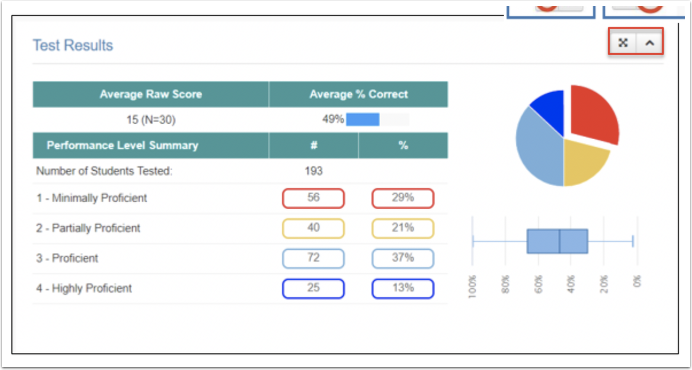 The Dashboard provides users with an interactive view of the data available for their latest assessment via a series of graphs from four popular predefined reports; Test Results, Standard Analysis, Demographic Profile, and Summary Report are shown instantly. Roster and Assessment Name: Change each by clicking on the down arrow and making the desired changes. Summary Data: Number of Students Tested and Average Percent Correct. Filters: Use the drop down menus to filter the results as desired. Click on the Report name in blue font to go to that full report in the Report Manager. Table with Average Raw Score, Average Percent Correct, Number of Students Tested, and Number and Percent of Students in each Performance Level. Full Screen: Click on the full screen icon in the upper right corner to view the table and graphs in full screen. Click on Return to Report (orange button) to go back to the Dashboard. Toggle: Click on the up arrow to move the Demographics Profile report to the top and hide the Test Results data. Click on the orange down arrow to show the Test Results data. Two graph options are available for this report - Column and Box Plot. Column: This is the default graph when opening the Dashboard. Box Plot: Click on Box Plot to switch the graph. 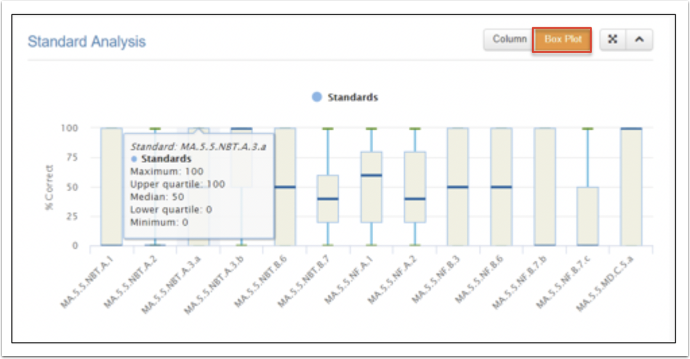 Hover over each box plot to reveal statistics. 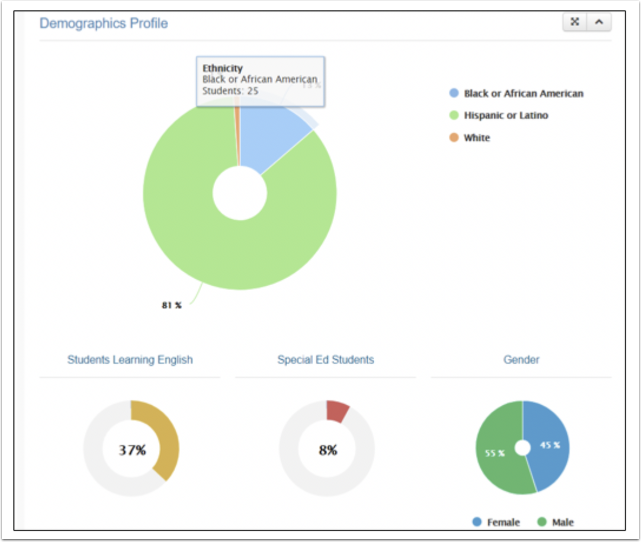 Demographics shown are dependent on the district Student Information System (SIS) and may vary from what is shown. 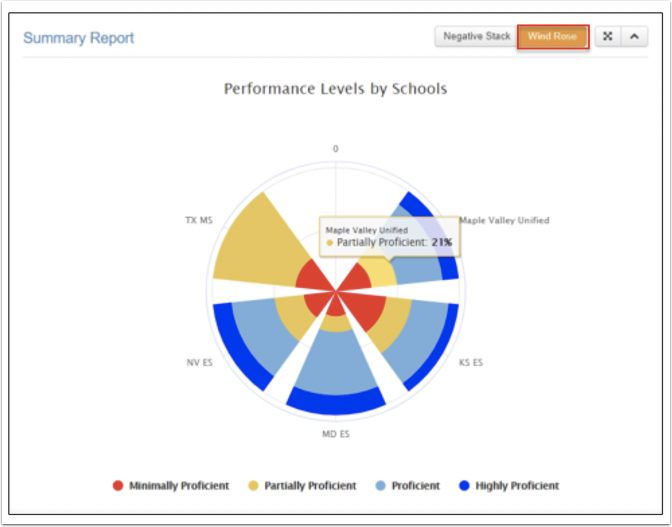 A main interactive donut chart displays the various populations of students who completed the assessment according to the color key on the right. Other subgroups are displayed underneath. 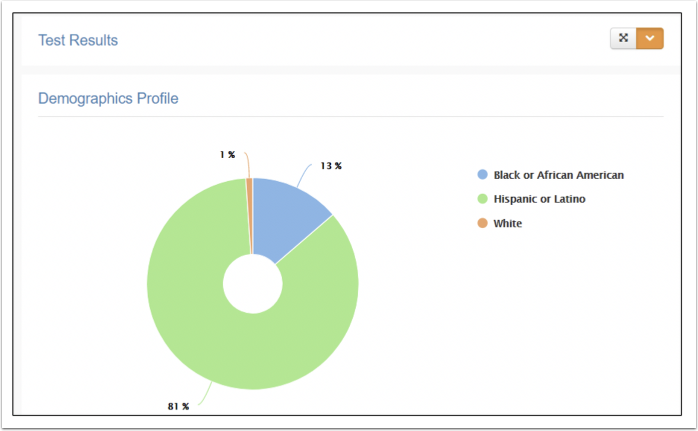 Hover over any section of a donut chart to display demographic details. Two graph options are available for this report Negative Stack and Wind Rose. Negative Stack: This is the default graph when opening the Dashboard. It shows the percent of students at each school that scored Not Proficient or Proficient. 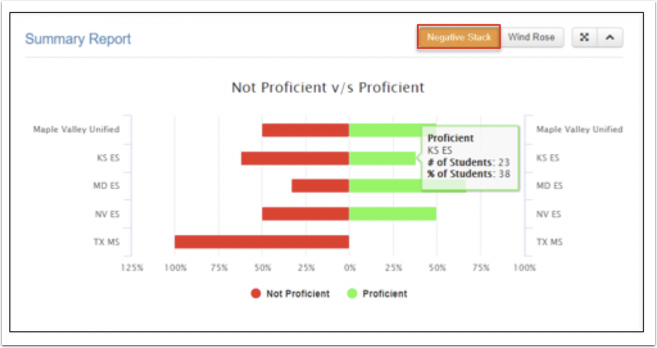 Hover over any bar to view the number and percent of students. Wind Rose: This graph shows the percent of students at each performance level, according to the key underneath. Performance levels are determined by the Test Creator and may vary from what is shown. 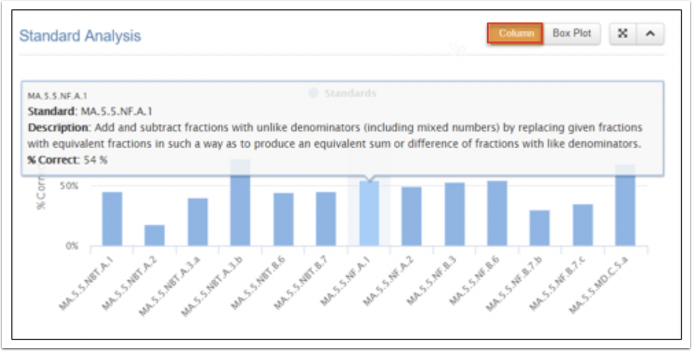 Hover over any portion of the graph to view the percent of students in that performance level.